As I spend time this week at the PICO Network's National Training, I've been struggling with how to use principles of community organizing in my congregation and in coalition with others in organizing in suburban congregations. One of the words, as I shared yesterday, that we've been working with is "power." For many Christians, especially Christians living in suburban contexts, this isn't a topic of conversation. Power is usually seen as having "coercive" tendencies, and we're not supposed to engage in such things. But how do we engage the world in which we live without making use of power? If we go talk to civic leaders we address power brokers, so if we don't have our own power, how are we to engage? As we role-played civic conversations today, we recognized that persons in power will often try to distract or diminish our voice -- so how do we make them listen and take our concerns seriously? August 29, 2012 (Wednesday Evening) 7:00 P.M. -8:30 P.M.
Join us for an evening of conversation about living faithfully in 21st Century America with Dr. Bob Cornwall, Pastor of Central Woodward Christian Church and Convener of the Troy-Area Interfaith Group. 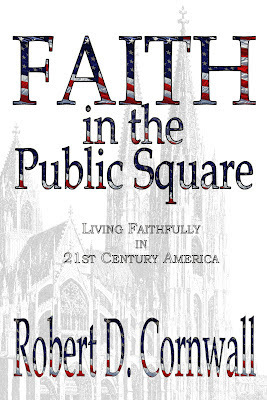 The event will include a book signing of his new book Faith in the Public Square (Energion Publications, 2012). Books will be available for purchase. 6As a result, those who had gathered together asked Jesus, “ Lord, are you going to restore the kingdom to Israel now? ” 7Jesus replied, “ It isn’t for you to know the times or seasons that the Father has set by his own authority.8Rather, you will receive power when the Holy Spirit has come upon you, and you will be my witnesses in Jerusalem, in all Judea and Samaria, and to the end of the earth. ” Note the word "power" in verse 8. With the coming of the Spirit the community will receive power (dunamis). 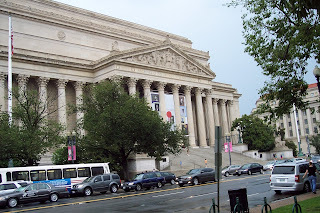 You likely have heard about efforts to ban Sharia law in America. These efforts are expressions of fear that somehow Muslims will gain a foothold in America and implement/impose Muslim forms of law on the American people. Proponents of these laws suggest that Sharia will bring draconian forms of punishment such as beheadings and cutting off of hands and the like. And, with daily reports from places like Afghanistan in the news, it's easy to see why this is true. But, is this really what Sharia is all about? Could it be that Sharia is really an overarching vision of justice and even salvation? Is it, therefore, more a spiritual concept developed to organize life in a Muslim context than a legal code focused on rules and punishments? Indeed, is it more akin to Jewish laws that guide diet and marriage and the like, laws that are considered without concern in American courts? A WOMAN CALLED: Piecing Together the Ministry Puzzle.By Sara Gaston Barton. Abilene, TX: Leafwood Publishers, 2012. 220 pages. It seems so simple. The New Testament states clearly that women are to be silent and that they should not have authority over men. It seems simple enough, except that there are other words from the New Testament that speak a different message, one that hints at, if not always explicitly states, that women were called to ministry and did teach and likely weren’t silent. But complicating the picture further is the reality of call. What happens if from your youngest years you have a yearning to preach the gospel and to teach the Bible, not just to women and children, but to every person? One could, as many have, simply throw away the text, but what if you feel drawn to the biblical message and you don’t want to let it go?